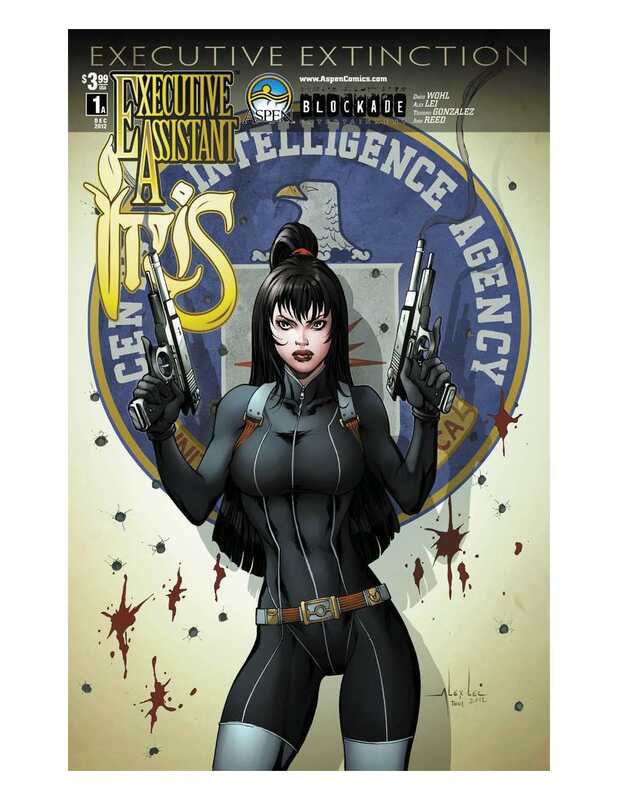 The Fellowship was fortunate enough to obtain a copy of EXECUTIVE ASSISTANT: IRIS #1 from Aspen Comics. David Wohl writes, and Alex Lei draws. Iris doesn’t much like her new employer, but in her line of work that’s not a requirement. But when he gets killed while she’s out of the way, she’s not happy. And since she’s moonlighting with the CIA, “not happy” has a different meaning for her. So when her traitorous ex-friend shows up, she’s not surprised. And she’s still not happy. If the bad guys are going to have superhot ninja assassins, then it only makes sense for the good guys to get some too. But the problem with superhot ninja assassins is that it’s hard to keep them from changing sides. Fortunately, it can make for some interesting drama, not to mention some really nice fight scenes, like the limo ride. This title reads like Danger Girl without the tongue in cheek. And I like Danger Girl, so that’s a good thing. This appears to be a mini-series spinoff of the main Executive Assistant series. And it’s good enough to make me interested in the main series. Definitely check this out. 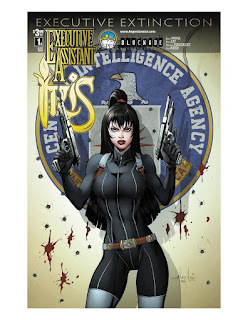 EXECUTIVE ASSISTANT: IRIS #1 is available now at your FLCS or by order from aspencomics.com.